Stadium Sports Physiotherapy is a leading physiotherapy clinic specialising in sports injury, musculoskeletal and orthodpaedic physiotherapy. We treat the cause of your problems, not just the symptoms, with specific manual therapy, education, structured exercise and rehabilitation programmes. We are a team of highly qualified physiotherapists based at Sydney Football Stadium, Moore Park. We are a Sydney Physiotherapy practice. We opened in 2008 in conjunction with The Stadium Orthopaedic and Sports Medicine Centre. Conveniently located outside the Sydney Football Stadium in Moore Park, the focus has always been on the highest quality of physiotherapy service as a committed and integrated orthopaedic and sports medicine team. Our team of experienced physiotherapists in conjunction with our close links with specialist physicians, podiatry, nutritionists, radiology, massage therapy and general practitioners, allows a holistic approach to treatment and injury management. Whether you wish to return to the sporting field, work and recreation, or just want to move pain free, our team will create an individual treatment plan for each and every one of our patients. Although part of a comprehensive orthopaedic and sports medicine centre, Stadium Sports Physiotherapy is open to all members of the public regardless of age or athletic involvement or ability. No referral is necessary for an appointment. We are open extended hours to make it easier for you to get the treatment you need without interruption to work, sport or family schedules. Sports physiotherapy specialises in the treatment, rehabilitation and further prevention of injuries and complaints sustained during sporting activities. Sports injuries differ from every day injuries due to the greater stress put on muscles, joints and bones through participation in sports. The most common injuries associated with sports include ligament sprains, strains, tears, joint injuries and over-use injuries. Our sports physiotherapists will assess and treat the cause of your injury allowing you to build the strength, mobility, balance and co-ordination required to return to your sport pain free and to help prevent further injury. 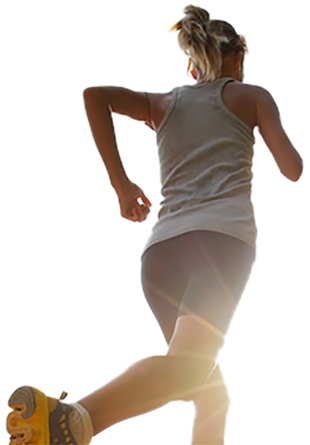 Musculoskeletal physiotherapists specialise in the treatment of muscle and joint injuries. Typical musculoskeletal injuries may include carpel tunnel syndrome, tendinitis and bursitis and can be caused by prolonged sitting, overloading of particular muscle groups and repetitive movements. Treatment can help improve your flexibility, muscle strength, quality of movement and co-ordination in order to help prevent further injury occurring. Our physiotherapists can prescribe you an exercise program to complete at home or in the gym in order to enhance your recovery. Following an orthopaedic surgery it is most likely that you will require physiotherapy to avoid certain complications, such as DVT, but also to re-introduce strength and range of motion movements. You will be prescribed a progressive exercise program in order to build up flexibility, strength and function. Our physiotherapists will tailor a programme specific to your surgery in order to aid you through the rehabilitation process to get you back to your everyday activities as soon as possible. At Stadium Sports Physiotherapy we offer a wide range of casts, splints and braces for all injury types and body parts. We source the best quality brands to ensure you receive the best possible supports and bracing necessary to overcome injury. Our range consists of Aircast walkers, knee supports, hinged knee braces, range-of-motion braces, back supports, wrist supports, arm slings, and many more. We also offer fibreglass casting as well as EXOS braces which are removable, adjustable, reformable and waterproof. Work place injuries are very common and can sometimes be debilitating. Our physiotherapists are all very experienced in treating work-related injuries and are all registered to treat under the workers compensation system meaning you are not out of pocket for treatment that you receive. You will be provided with a rehabilitation program in order to help you recover from your injury and return to your full work capabilities as soon as possible. Real-time ultrasound can be a useful tool to assess core muscle activation. At Stadium Sports Physiotherapy we use a state of the art real-time ultrasound which allows you to see how your muscles are contracting whilst performing core exercises. This can help establish any weaknesses and allow your physiotherapist to tailor a suitable program for you to work on improving your core stability. Improving core stability can be important in treating a number of lower back complaints so being able to understand exactly how your deep stabilising core muscles work can help with your muscle retraining and strengthening program. Dry Needling can be used to treat pain caused by injuries by inserting an acupuncture needle into trigger points which encourages tight muscles to relax. It can be useful in the treatment of both chronic and acute injuries. All of our physiotherapists are trained in dry needling and we offer this in conjunction with our regular physiotherapy service. Exercise therapy is a vital element of injury rehabilitation and helping prevent the re-occurrence of an injury. Your physiotherapist will prescribe you an individually tailored progressive exercise program which will encourage increased strength, mobility and function to help you return to your full capabilities. Exercises can focus on an individual area, for example to strengthen an ankle after a sprain to prevent further injury, or your exercises may focus on a whole muscle group, such as glute and core strengthening to minimise and prevent lower back and hip pain. Your exercise program will be progressed over time as your strength improves. 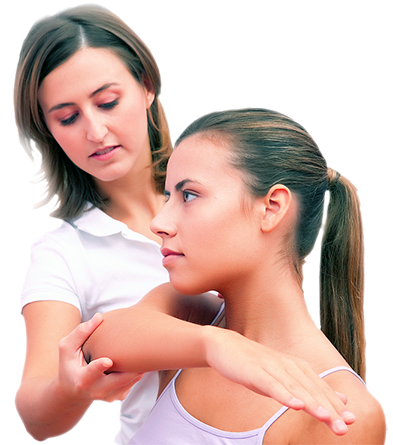 Massage therapy can work alongside physiotherapy to promote healing and rehabilitation. It focuses on the manipulation of soft body tissues in order to relieve muscle pain, headaches and migraines, to improve posture, flexibility and blood circulation, and to aid in the healing of soft tissue injuries. The physiotherapists at Stadium Sports Physiotherapy work alongside external massage therapists to ensure you receive the care and treatment you require to progress in your rehabilitation. We are planning to have our own in-house massage therapist in the New Year. Pre-season screening is used to identify areas of weakness and lack of strength that could potentially result in injury. Our physiotherapists will then design an individual program specifically to address the deficiencies identified in order to limit and avoid injuries during the season. A post-season program can be developed for use between seasons in order to improve areas of weakness identified during the season. The aim of this is to limit deficiencies moving in to the next season. How do muscle contusions occur?